Cancelling, validation machines and perforating machines are tools to mark, cancel or validate important documents, forms, tenders, cheque cards, passports, labels and many other articles permanently. Cancelling and validation machines are able to punch stacks of paper with a single punch symbol. The capacity of these machines may reach a maximum of 200 sheets. This machine is often used to validate tenders to prevent manipulation. But also banks, insurance companies and forwarding agents use this machines for various purposes. Also very popular is this machine in the administration of cities or municipal administration. Both, manual and electric cancelling machines are available for your choice. Perforating machines may validate up to 25 sheets in one operation. With this machines, not one single punch symbol is used to mark the documents but various needles perforate a readable mark. These machines are used for cancelling or validating invoices or business documents but also to brand company documents and to improve the look of business documents. 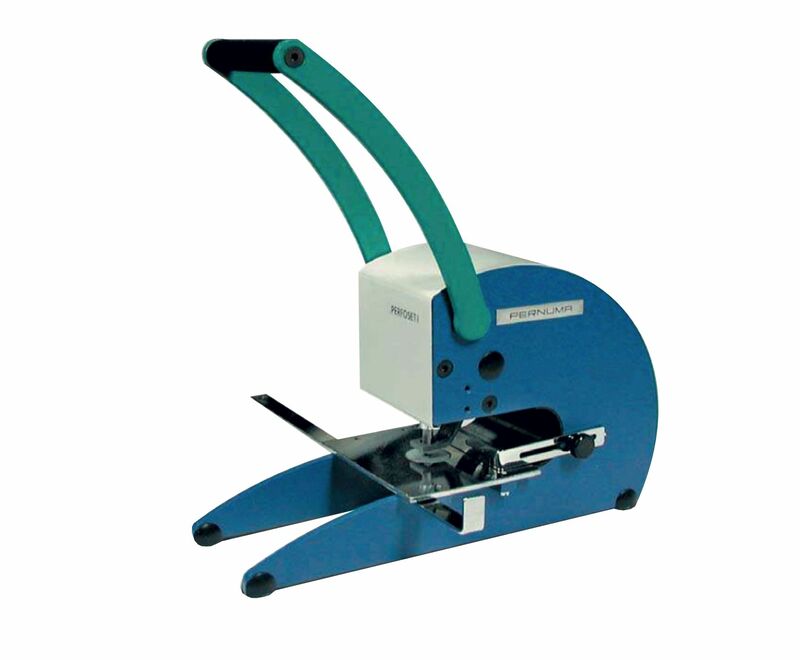 Perforating machines are available as date or text perforating machines. Perforating machines with adjustable wheels are special perforators to perforate often changing number or letter combinations. These machines are very versatile and allow a huge number of different perforations. Additional text slides or letter-figure combinations are also possible. A special perforating machine are our § 57a perforators. As these machines are only sold in the Austrian market, you will find no English information on this product. Embossing machines are special machines to emboss paper stacks, documents and certificates. These machines are often used by administration offices, municipal administration but also universities, banks and insurance companies. Our embossing machines will emboss a fixed symbol in documents or certificates including mostly a fixed text and a symbol or emblem of the issuing authority. Our cancelling, validation and perforating machines are used primarily to validate, date and cancel documents, forms, tenders, labels, passports, receipt blocks, invoices, cheque cards, savings books and other, similar documents. Price: For prices to this article, please use our contact form or send us an email to info@margreiter-technik.com. Our sales team will advise you gladly.